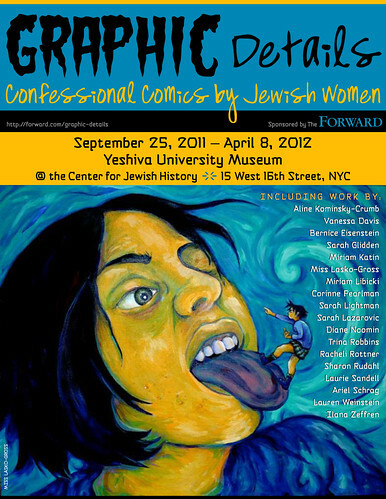 The much traveled show ‘Graphic Details, Confessional Comics by Jewish Women’ makes it to the home front. Where: Yeshiva University Museum, Center for Jewish History, 15 W.16th Street, NYC. For further information please see the page on the Forward website.